Swisscom and Ericsson have collaborated to develop an end-to-end network slicing solution for critical communications to deploy and explore new use cases for 4G and 5G. The project is based on Ericsson radio access and core networks, and one of the first steps is to test how the functionality can support critical communications over public networks, for example, in the public transport sector. At Mobile World Congress 2018, the two companies will demonstrate how end-to-end network slicing can be implemented on Ericsson's 4G and 5G network solutions. The demonstration will use commercially available features in the Ericsson radio access network, such as RAN slicing and Quality of Service control, combined with Ericsson's core network functionality and Operations Support Systems offering, securing the reliability and performance of applications for critical communications. To introduce applications for specific industries, Swisscom is planning to evolve its network and infrastructure to support requirements that are different and more stringent compared to traditional mobile broadband needs. Network slicing is crucial to guarantee the performance of critical communications, and it is a key enabler to maximize the full business potential of 5G. Together with Swisscom, Ericsson are creating innovative solutions that optimize existing networks and lay the groundwork for advanced 4G- and 5G-enabled applications. 5G technology addresses the increasing need for speed, capacity, and low latency. 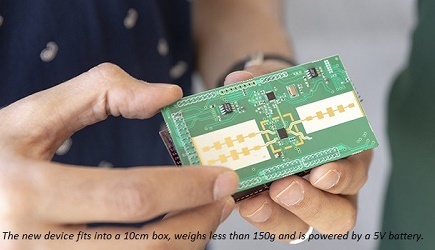 It brings new levels of performance and functionality to cellular networks and enables critical applications, including emerging Internet of Things use cases. One example is remote monitoring and control of machines or vehicles, which requires extremely low latency, high reliability, and top prioritization in the network. Investments in digital industrialization are expected to generate an estimated USD 619 billion revenue opportunity for telecom operators by 2026, according to the 5G Business Potential report published by Ericsson. The report also notes that service providers will profit from an additional 36 percent revenue potential by 2026 from 5G-enabled market opportunities. Ericsson's end-to-end network slicing solution is readily available on 4G networks for operators to start exploring new opportunities with various industries while gearing up for commercial 5G services.